SERIGRAPHS by L. and N. SPAULDING. 7/70 Sweet Grass Country L & N Spaulding OP. - signed. 13/75 Night Journey L/N Spaulding OP copyright ‘94 - signed. Though not part of a series (edition #s don’t reflect this), these pieces are a beautiful compliment to each other. 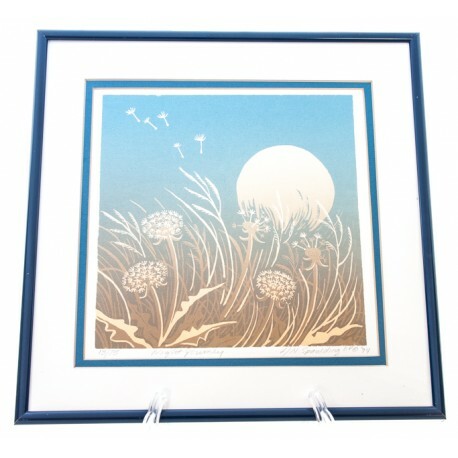 One piece depicts grasses, dandelion puffs, and a full moon. 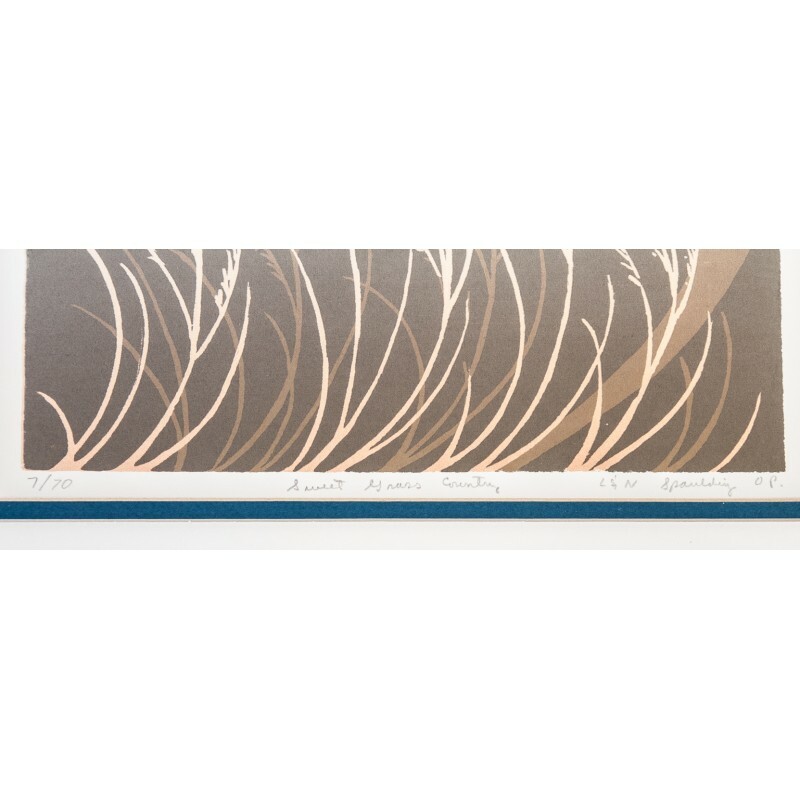 The other image is a bit more mysterious with wild grasses and a huge crescent moon that runs up off the page. 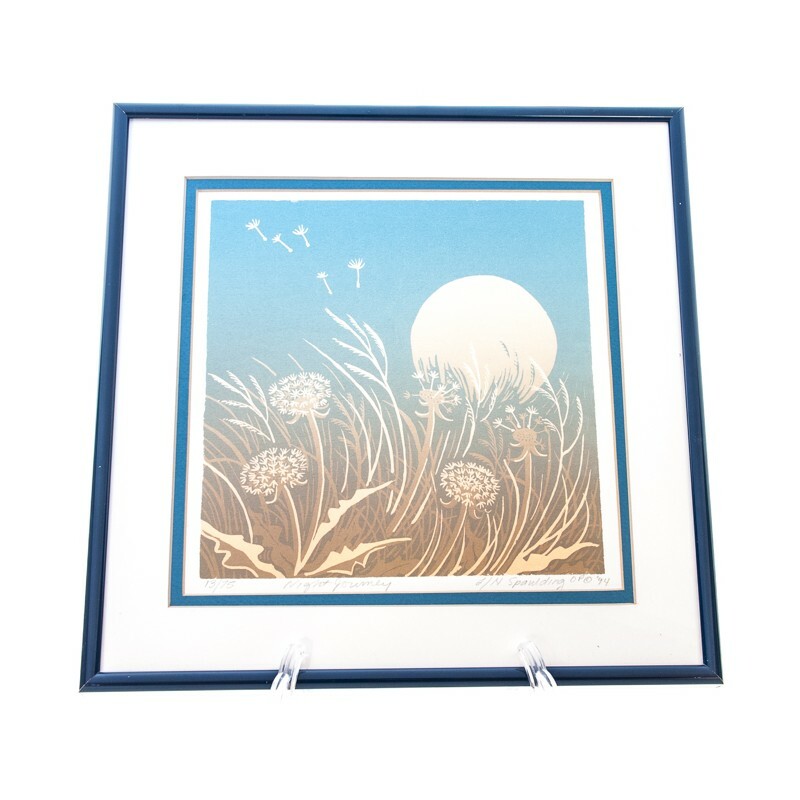 Both pieces present the same color palette: evening sky blue that fades into a golden brown. The grasses and moons are off-white and tan. 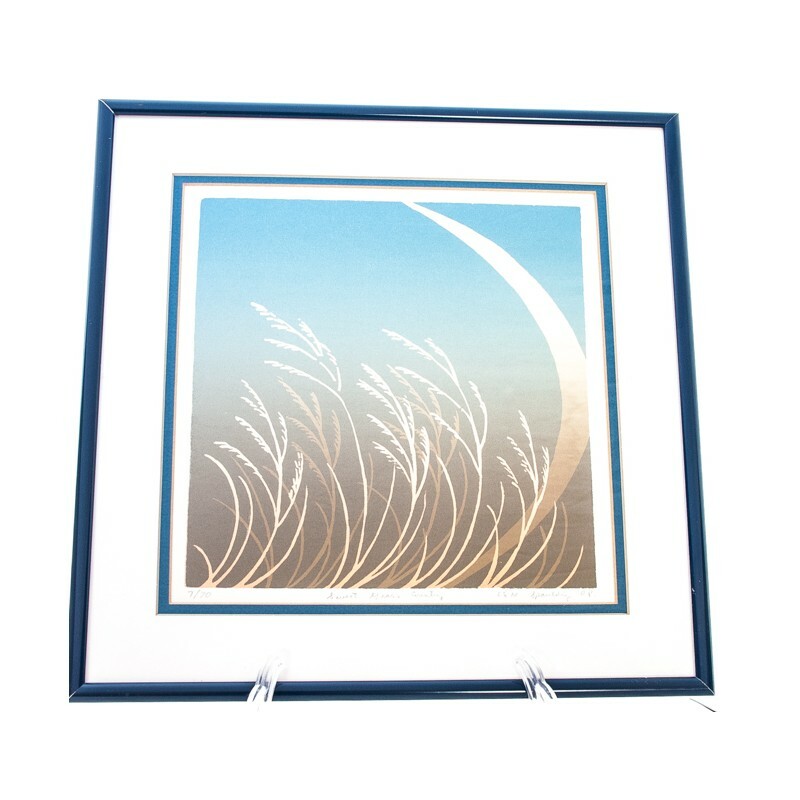 Each piece, professionally framed, is double matted in off-white and navy blue. Both mats have yellowed and we suggest replacing them with acid free materials. 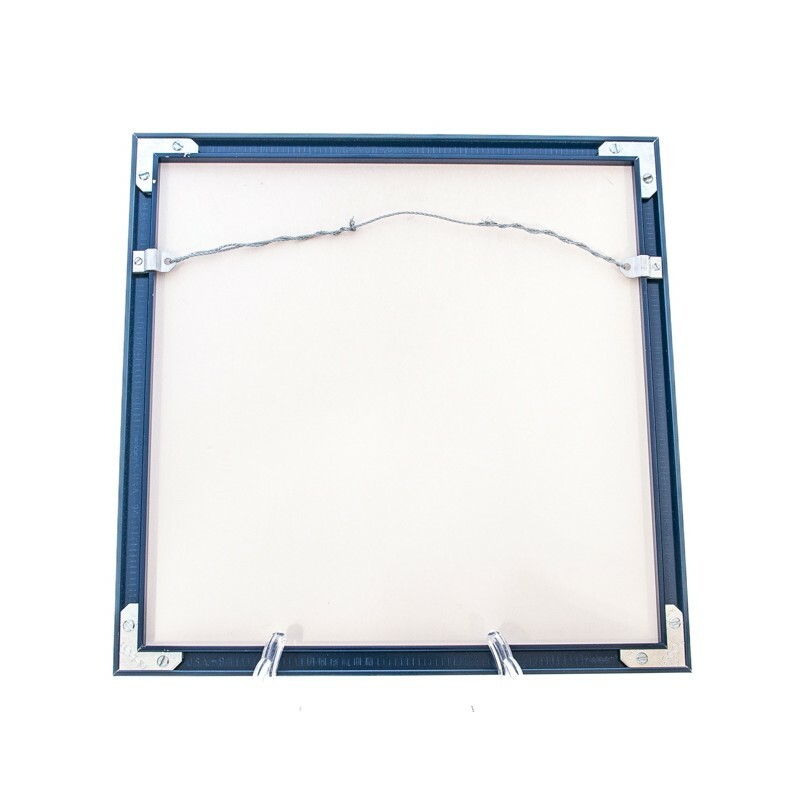 The frames are thin, dark navy blue, metal. The frames show minor wear. 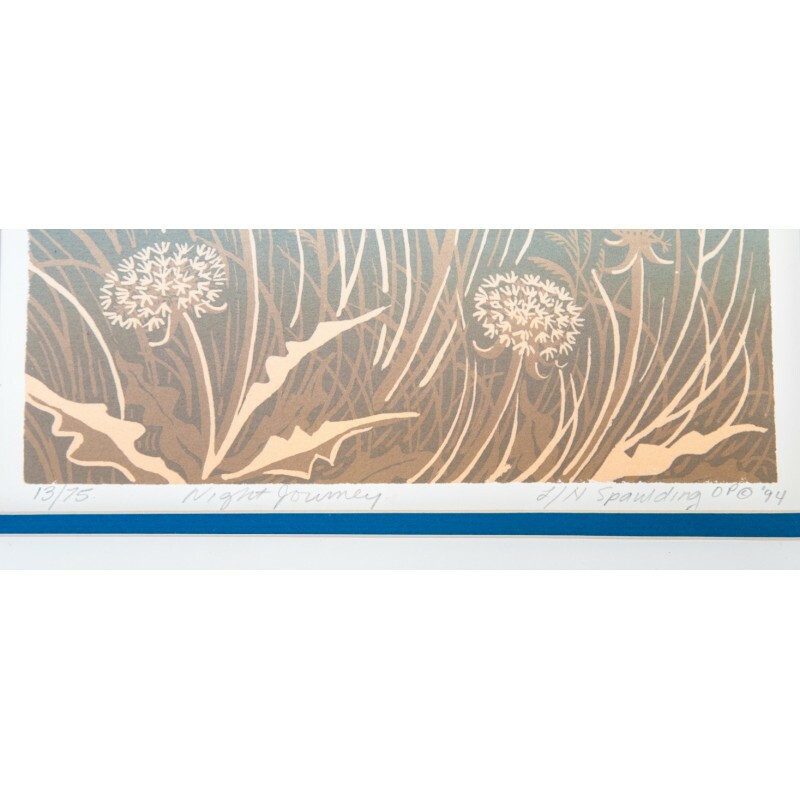 PLEASE NOTE: THE SERIGRAPHS ARE SOLD AS A SET.